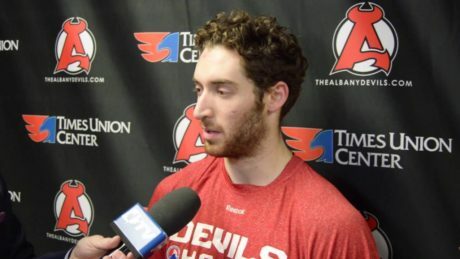 Matt Lorito talks to the media ahead of Thursday’s Game 5 between the Devils and Marlies. 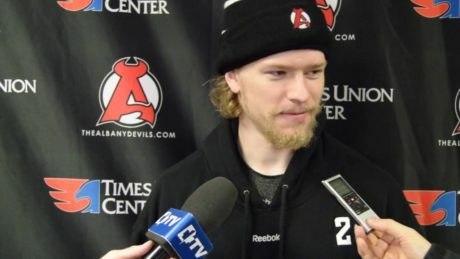 Seth Helgeson talks to the media ahead of Thursday’s Game 5 between the Devils and Marlies. 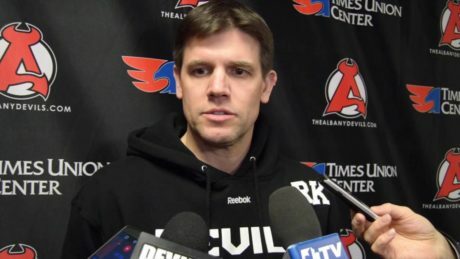 Head Coach Rick Kowalsky talks to the media ahead of Thursday’s Game 5 between the Devils and Marlies. 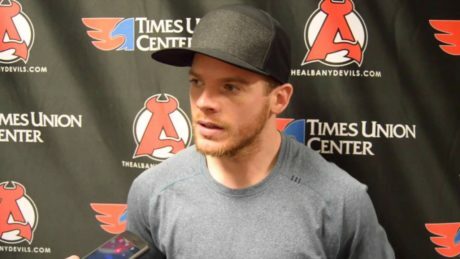 Brian O’Neill discusses how the team needs to respond after Wednesday’s Game 4 setback. 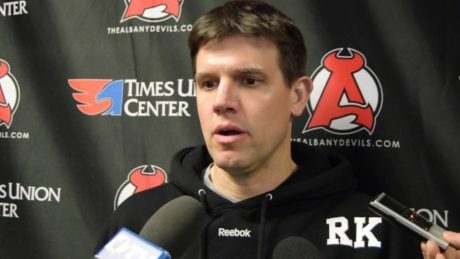 Head Coach Rick Kowalsky addresses the media Wednesday ahead of Thursday’s Game 5. 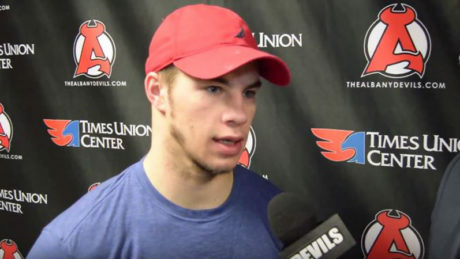 Blake Pietila, who has is averaging a point per game this postseason, sets the stage for Game 4 against the Marlies. 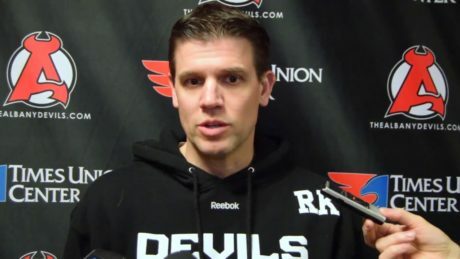 Matt Lorito talks about the advantage the Devils have when the special teams units are sharp. 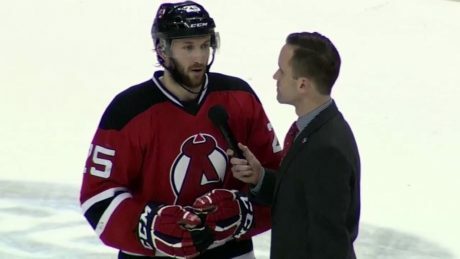 Nick Lappin’s interview moments after he netted the game-winning goal during Game 3 against the Marlies. 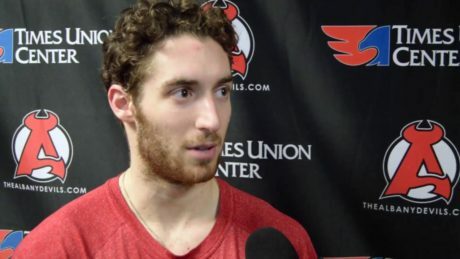 Following the Devils thrilling 3-2 overtime victory, the team took Monday off to rest. 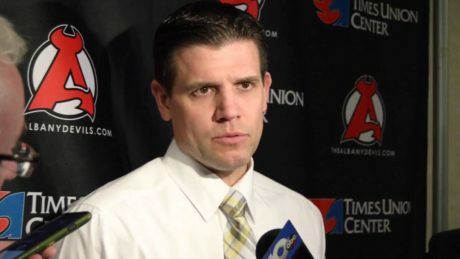 Game 4 is slated for Tuesday at 7:30 pm at Times Union Center. 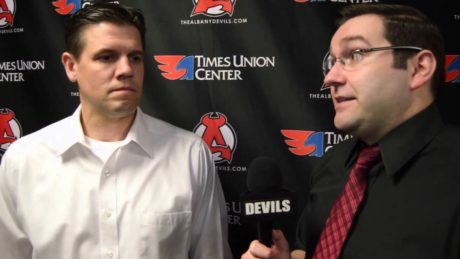 Head Coach Rick Kowalsky’s media scrum following the #ADevils 3-2 OT win. 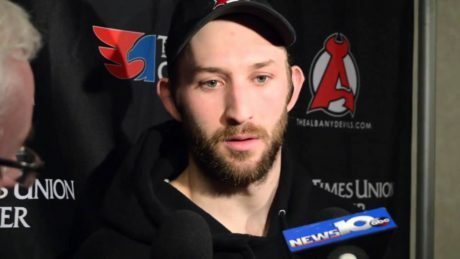 Nick Lappin addresses the media following his two-goal performance to help the Devils in their comeback.